One of our remarkable volunteers, Marta, attended the Huntington Beach city Council meeting on November 20th, 2017. 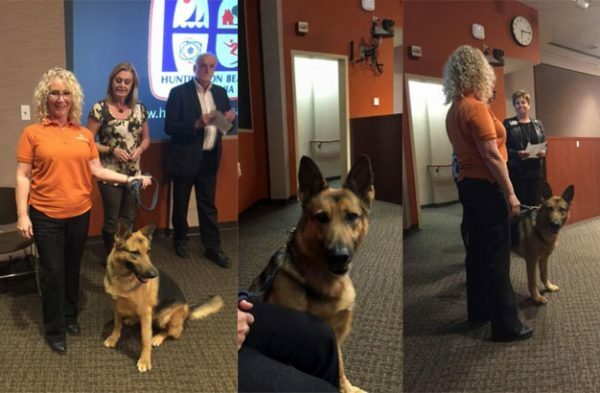 She spoke about the wonderful dogs up for adoption at GSROC, as well as the upcoming fundraiser, “the 12 bars of Christmas” that we are participating in selling the tickets for to raise funds for the rescue. Renata was on her best behavior and served as a fabulous ambassador for all her fellow German Shepherd’s!